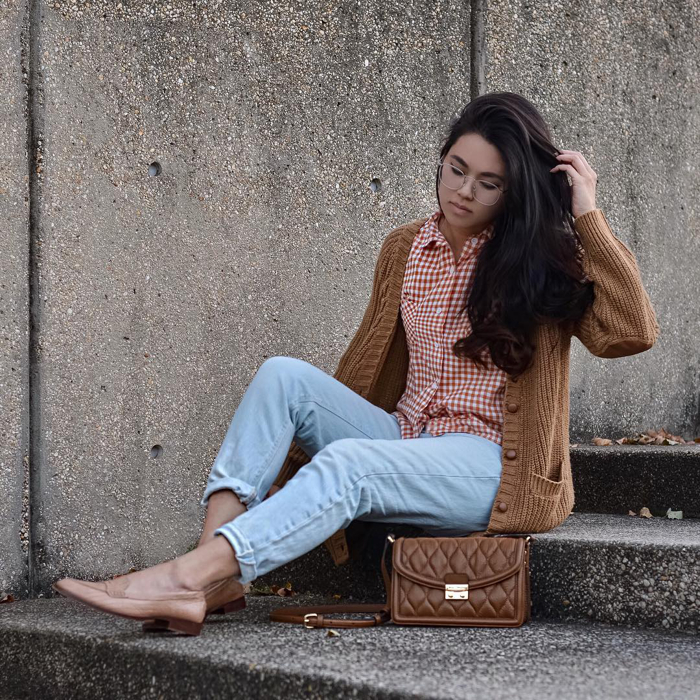 I'm currently obsessing over cognac colors this fall season. 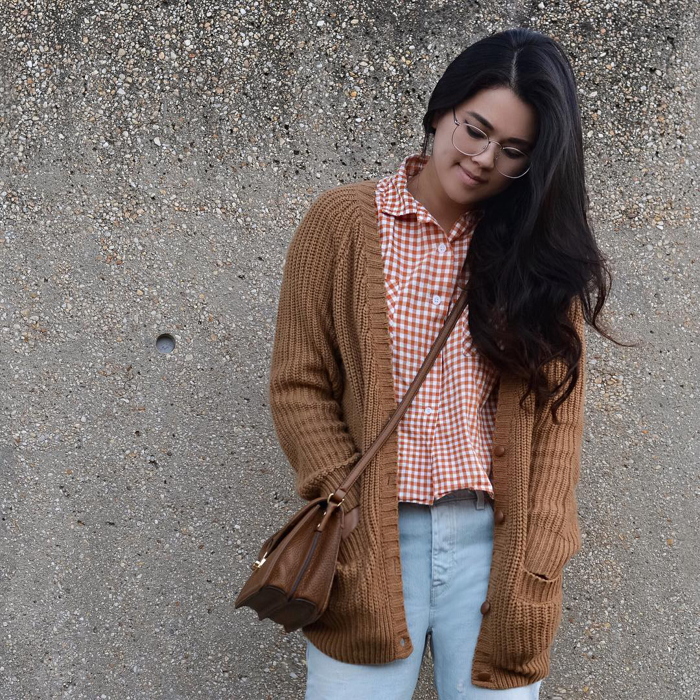 The warm earthy tones is easy to wear and just screams "Fall"! 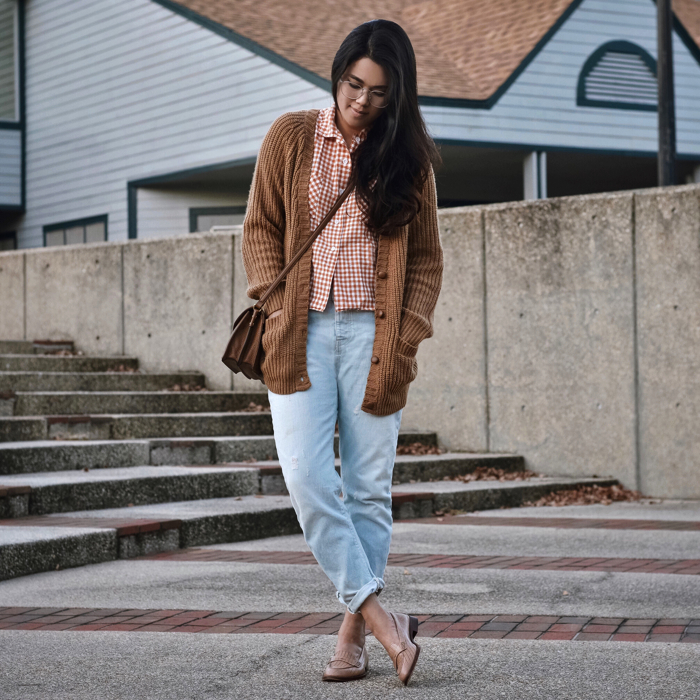 For this casual look, I am wearing a vintage blouse and a pair of relaxed boyfriend jeans. I complemented the outfit with matching oversize cardigan and Vera Bradley's quilted crossbody bag. It's a little matchy-matchy, but the monochromatic colors give it a super chic feel in a casual look. Disclosure: This post was brought to you by Vera Bradley. All my opinions are my own.